Q: What are some of the neurotransmitters used in the brain? A: A number of different neurotransmitters or chemical substances, are used in the brain. Some of these are serotonin, acetylcholine, dopamine, and norepinephrine. Degeneration of cells that produce dopamine is associated with Parkinson’s disease. Q: How is dopamine made? A: There are several steps the body takes to synthesize dopamine from the amino acid tyrosine. If levels of tyrosine are depleted, the body can form it from another amino acid called phenylalanine. 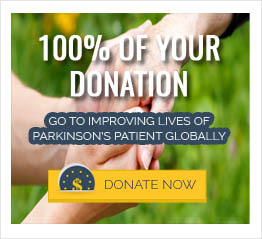 Q: Why are dopamine levels low in Parkinson’s disease? A: Deficiency of dopamine stems from the degeneration of the neurons which synthesize this neurotransmitter. These neurons are the dark, pigmented cells of the substantia nigra—a part of the basal ganglia. The lack of dopamine prevents cells in this area from communicating with each other; ultimately disrupting movement.